The session will present a new Mentoring Programme Monitoring and Evaluation Toolkit launched in 2018, in partnership with Middlesex University Business School and Youth Business International. The Toolkit is accompanied by a webinar series. This is an open source resource to support Mentoring and/or Coaching Programme Managers to effectively design and implement evaluation strategies, methodologies and techniques – including: surveys, interviews, focus groups and visual data – analysing and presenting data to demonstrate impact. Impact evaluation is an essential component of mentoring and coaching programme good practice and is a core standard within the EMCC ISMCP accreditation standards; therefore this session is essential for anyone wishing to learn more about monitoring and evaluation. Dr Julie Haddock-Millar is Associate Professor of Human Resource Management and Development at Middlesex University Business School (MUBS in the UK). She is a Senior Fellow of the Higher Education Academy (HEA) and Chartered Member of the Chartered Institute of Personnel and Development (CIPD). She is the EMCC International WorkGroup Leader for the International Standards in Mentoring and Coaching Programmes (ISMCP). She has designed, delivered, and evaluated a number of mentoring and coaching programmes for organisations such as the UK Cabinet Office, First Division Association, Financial and Legal Skills Partnership, and Médecins Sans Frontières. 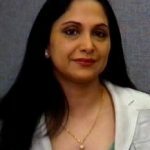 Dr Chandana Sanyal is a Senior Lecturer in Human Resource Management and Development at Middlesex University Business School, a Fellow Member of the Chartered Institute of Personnel and Development and Higher Education Academy. She is an EMCC accredited coach/mentor, an EMCC ISMCP assessor and the International WorkGroup Leader for EMCC European Individual Accreditations (EIA). She has over 20 years’ experience as a human resource practitioner and a senior manager in the Public Sector. 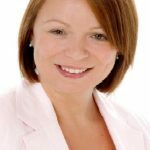 She holds an Advanced Certificate in Coaching and Mentoring from CIPD and has developed and implemented a number of coaching and mentoring programmes in her practitioner role.